my local shop got the new zmax ammo from hornady and i figured "hey why not get a box!!!" 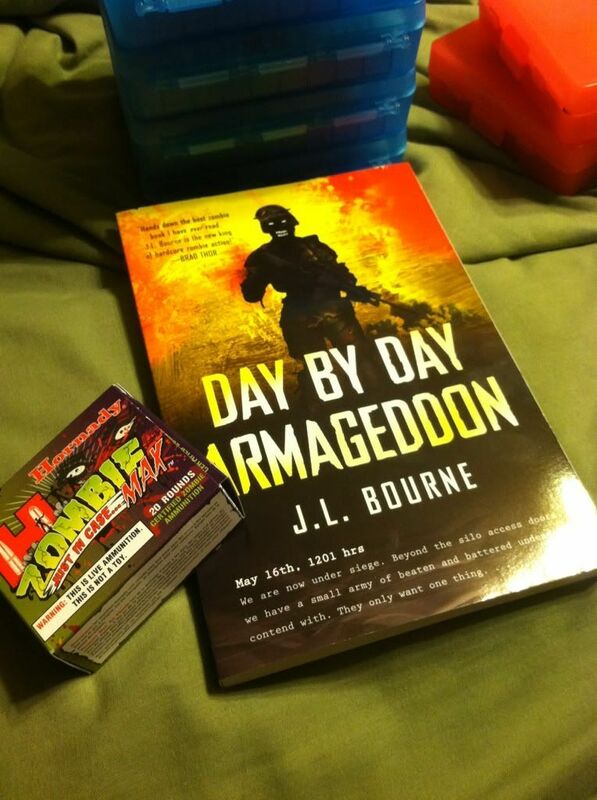 also my copy of day by day Armageddon came in too from amazon. Nice find, when I stumble across a box or to it will be mine! I was at the fun store yesterday. They have them on the counter. (11-19-2011, 05:21 PM)mdesimo514 Wrote: [ -> ] my local shop got the new zmax ammo from hornady and i figured "hey why not get a box!!!" also my copy of day by day Armageddon came in too from amazon. JL Bourne's Day by Day series is really good. I like his take on it all. I need to pick up the third in the series and replace my first two since they got ruined in the flood.